This is the nicer version of what people say to explain the unforeseen events that happen in everyone’s lives. Indeed, life does happen and there’s no getting around that, but the saying has a degree of resignation to it—a feeling of giving up one’s own power and leaving it in the hands of a random stroke of fate—that I don’t quite agree with. Without a doubt life happens…but what then? Are we no more than a feather on the wind, simply drifting and floating where the wind takes us, or do we exercise our own will over how we respond to life’s events so that we may shape it in the direction we want it to go? Do we get angry and resentful and allow life to exercise its cold, controlling hand over our psyche as well? This is my “waxing philosophical” way of addressing how I came to be here right now, both in the larger sense of why this blog exists, and in the smaller sense of why I am writing a post in my travel blog only a few months after my last trip (yes, I know I am meandering here, so if you want to skip to an abridged version for shorter attention spans, I’ve provided one here). In short, life happened. More specifically, I was laid off from my job in the technology industry (which is always a volatile place to be, but even more so when you are a writer) and found myself with some unplanned free time. I couldn’t control that it happened, but it did, so I had to decide what I wanted to do in response. In my mind, I had several options: I could take any job offer that came along in the interest of financial security; I could regard this time off as a gift and use it wisely; or I could be in a self-induced Limbo—that depressing state of looking for the next “perfect” job and simply existing until that opportunity came. Sure, I could do a very reasonable balance of “all of the above,” but if you’ve been following me for awhile, you will not be surprised that I chose door number two: I chose to look at this unexpected time off as a gift—an opportunity to follow the passions that feed my soul. Another job will inevitably happen, but another chance at extended time off? That only happens if I make it so. The last time I found myself unemployed for an extended period of time (though deliberately that time), I went on a three-month sabbatical abroad and this blog was born as a way of letting my loved ones know that I was safe. Since then, life has changed and I now have someone who would miss me if I were gone for three months, so this time will be slightly different, but only with regard to time. As a volunteer at heart, I found myself a volunteer position teaching English at a Buddhist monastery in Nepal. Yes…Nepal—a dream destination for me, but one that had to wait until I had enough time. Because life happened, I now have it. After volunteering for several weeks, I will have time to absorb Nepal as a tourist before my other half joins me and we embark upon some high-altitude trekking in the majestic Himalayas. Writing, volunteering, traveling, and snow-covered mountains…all things that feed my soul in the most satisfying of ways, and all combined in a single trip. I feel as though I have entered Shambhala, that legendary Tibetan Buddhist paradise believed to be in the Himalayas. Explorers have searched for it without luck, but I think the explorers may have missed the point. Abridged Version: I got laid off from my job, which totally sucked. 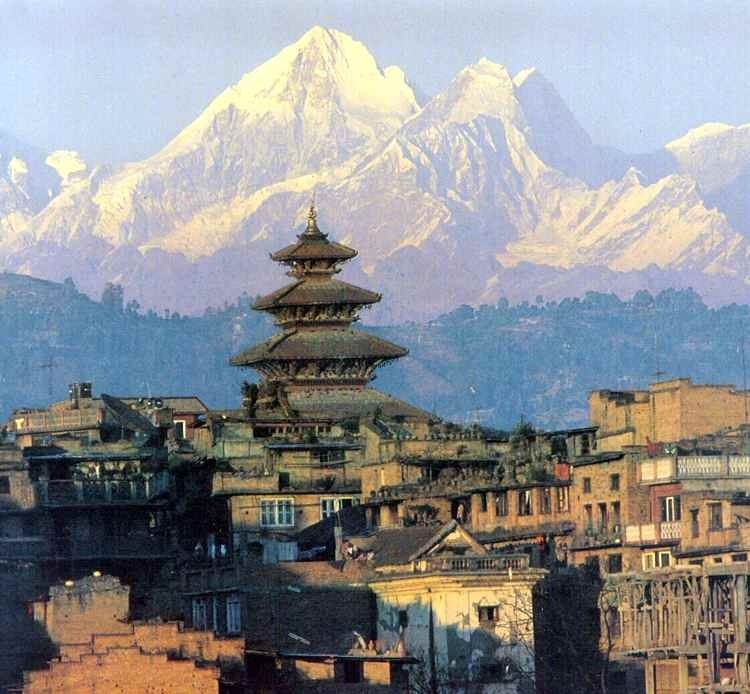 As a consolation prize, I gifted myself a trip to Nepal, which has been a dream destination of mine for years. I am now in Nepal and will be volunteering at a Buddhist monastery teaching English…and I actually get to live at the monastery while I do it, which is so freakin’ cool. After I volunteer, I will see the sights a bit, then go trekking. I will write more as the limits of the Internet permit…and on this trip, there will be limits, though probably not too many.